Here at The Law Office of Meleni David we strive to offer the best in legal services to our clients and their families who have experienced personal injuries. Our highly skilled litigation teams have the knowledge, resources and the experience to provide our clients with the best possible legal representation in many different aspects of Personal Injury. For many years The Law office of Meleni David has represented those who have suffered serious personal injury on both physical and psychological levels. We are proud to say that The Law Office of Meleni David is one of the few legal service providers in Toronto with a team of experts who have gained extensive knowledge in handling thousands of personal injury cases throughout the years. Utilizing our vast experience in the industry we are capable of providing expert analysis and evaluation of injuries, and file personal injury claims on behalf of our clients. We offer professional and ethical legal services for almost all forms of personal injury including, Motor vehicle accidents, Slip and fall accidents as well as injuries due to negligence. We at The Law office of Meleni David enjoy giving back to the community. One such major program that we were associated and had active participation was with the South Asian Autism Awareness Centre (SAAAC). We were one of the main sponsors in spreading the awareness of Autism and helped the organization to face the challenges within the community. In addition we also sponsor many annual events including fund raising and charity events to help the local community such as the Canada T20 Cricket Cup 2010 and the Walkathon for the Canada Cancer Society to help boost cancer awareness. The Managing Partner, Meleni David is the recipient of several awards in appreciation of her contribution to the growth and wellbeing of the community. 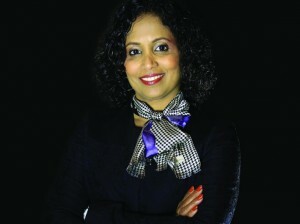 She is one among the proud winner of the Top 25 Immigrant Award 2012. Apart from receiving the National Ethnic Press and Media Council of Canada Award from the Lieutenant Governor in 2013, her Law firm was also awarded the Gold Award for the Best Law Firm – Readers Choice by the Scarborough Mirror. The Law Office of Meleni David’s latest acquisition is Canadian Negligence Claims Law Firm of the Year – award by Acquisition International Award.